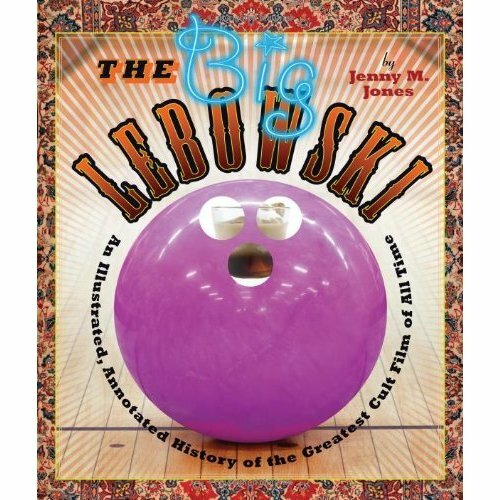 Jenny M Jones, Marketing Director for Textile Center, has written a book, The Big Lebowski. Coffee, cider and cookies available. This event is free and open to the public. Whether contending with nihilists, botching a kidnapping pay-off, watching as his beloved rug is maturated upon, or simply bowling and drinking Caucasians, the Dude-or El Duderino if you’re not into the whole brevity thing-abides. As embodied by Jeff Bridges, the main character of the 1998 Coen brothers’ film The Big Lebowski is a modern hero who has inspired festivals, burlesque interpretations, and even a religion (Dudeism). In time for the fifteenth anniversary of The Big Lebowski, film author and curator Jenny M. Jones tells the full story of the Dude, from how the Coen brothers came up with the idea for a modern LA noir to never-been-told anecdotes about the film’s production, its critical and commercial reception, and, finally, how it came to be such an international cult hit. Achievers, as Lebowski fans call themselves, will discover many hidden truths, including why it is that Walter Sobchak (John Goodman) is so obsessed with Vietnam, what makes Theodore Donald “Donny” Kerabatsos (Steve Buscemi) so confused all the time, how the film defies genre, and what unexpected surprise Bridges got during filming of the Gutterballs dream sequence. (Hint: it involved curly wigs and a gurney.) Interspersed throughout are sidebars, interviews with members of the film’s cast and crew, scene breakdowns, guest essays by prominent experts on Lebowski language, music, filmmaking techniques, and more, and hundreds of photographs-including many of artwork inspired by the film.